The versatile new center console boat. Double the fun of boating. A combination of row and motor boat. Terhi - the boat of your life. 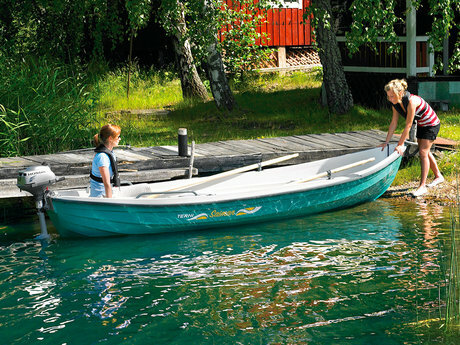 Finnish Terhi boats are made out of strong and smooth, shock and weather proof ABS-plastic. The space between the two vacuum formed shells is filled with a non-absorbing polyurethane foam, which functions both as a strengthener and as pontoon. This so called sandwich structure suppresses hull-born noises and makes the boats wholly unsinkable. The Terhis are long-lived and extremely easy manageable boats with a finish unlike that of any other small boats. Finnish Terhi boats are made out of resistant and smooth, shock and weather proof ABS-plastic. Read the Terhi broschure. The mobile version works on iPhones, iPads and smart phones/tablets using android. The Terhi boats are designed and manufactured in the small fishing parish of Rymättylä in South-western Finland. 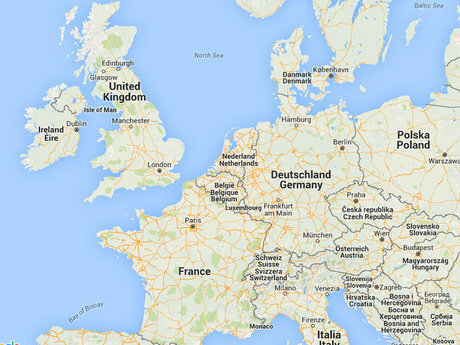 Find your nearest Terhi dealer from the map of resellers. 21.11. Welcome to the Boat & Fun boat show in Berlin to get acquainted with several Terhi boat models. You can find us both in Hall 4.2 - Stand 145 and in Fishing Hall 23b - Stand 180. 6.9. Our importer and dealer, Boat-Solutions GmbH, showcases some of our favorite Terhi boat models at the INTERBOOT, including our novelty model for 2019, the Terhi 450 CC. Welcome to hall A4 - stand 304! 30.6. 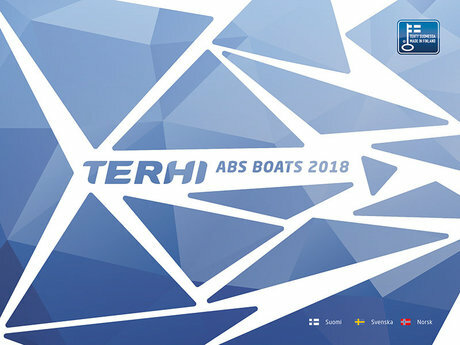 In 2019 Terhi will introduce three new boat models. The existing 445 and 445 C models will be replaced by Terhi 450 and 450 C - alongside these two we'll launch the brand new 450 CC.